Wisdom teeth are known as the third molars. Normally, when a person is between 16 to 20 years old, these kinds of teeth would start to erupt. Given the fact that wisdom teeth serve as the last permanent teeth to emerge, your mouth usually can’t accommodate room for them. The tooth can be trapped underneath the gum tissue by some bone or teeth, this is an impacted wisdom tooth. Impacted teeth lead to swelling and tenderness. Since this kind of impaction happens 44% of the time, it is known to be the most common form of impaction. Teeth have developed at a certain angle that pushes the rest of the teeth forward. Vertical impaction occurs once the third molars can’t come out the gum line. 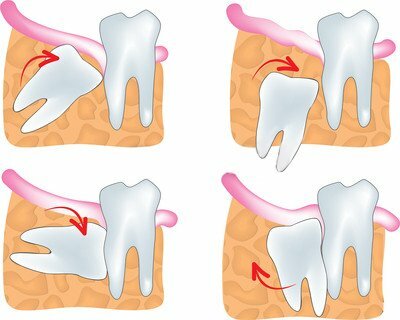 If the tooth is angled backwards, it is recognized as distoangular impaction. 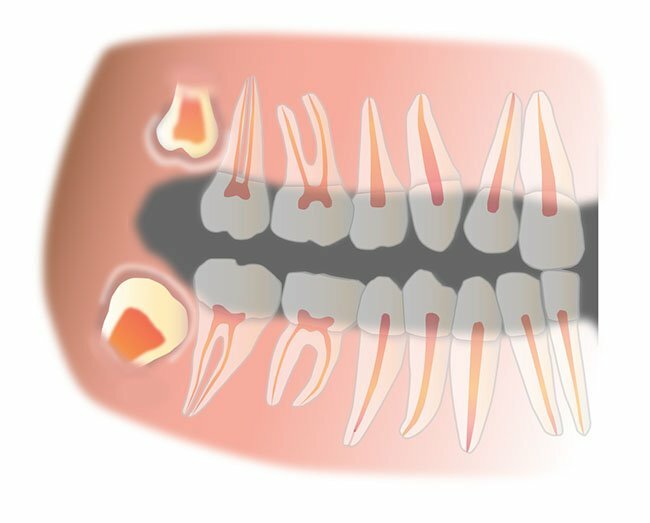 This kind of impaction means that your third molars have grown at a 90 degrees angle, approaching the roots of the second molars. In most cases, there is a need for the wisdom teeth to be removed once they are impacted. Infection can occur if they’re not removed. Additionally, a person will also experience pain, swelling, stiffness in the jaw and illness. Teeth like these are hard to clean because of their location in a person’s mouth. If teeth are partly covered and there’s a problem with eruption, they can be in danger of debris growing and in danger of possible infection appearing. Indications such as redness, swelling, pain, bad odour, complication in opening the jaw, and other illnesses associated to your wisdom teeth may lead to serious infection if you don’t pay attention to the treatment. If you have some issues with your wisdom teeth, it is advisable to visit your dentist right away. Furthermore, you can even ask the dentist regarding wisdom teeth on your next dental check-up. Dr. Billy Choi has extensive experience dealing with wisdom tooth problems. He has handled a vast range of simple and complicated wisdom tooth conditions over the years. To get superior and excellent solutions about your wisdom teeth, visit Precision Dental today. We provide the utmost value for your treatment to make you experience a healthy teeth condition.